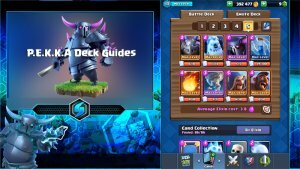 Hello everyone, as this is my first deck guide, I’ll give you a little back story on it first. I have been using the same deck since arena 8 and I am currently in Legendary Arena (12) with the same deck. It took a while for the deck to reach its final form since new cards were coming out, I was getting newer cards and sometimes I had to replace certain cards as I felt that they were ineffective compared to some of the other, better alternatives. This deck consists of PEKKA (Level 6), Electro Wizard (3), Ice Wizard (2), Arrows (10), Zap (12), Lumberjack (2), Goblin Hut (8) and Cannon Cart (5). You might be a bit confused why the Cannon Cart, I think it’s a very underrated card which I often find very capable of packing a punch to the opponents’ medium troops such as Bandit and the different Wizards. The card is a great distraction for a multiple troop push that’s heading towards you. However, the Cart can’t eliminate all of the troops on its own, which is quite obvious. CC is highly capable of taking care of the building troops your opponent places, Furnace and Goblin Hut can easily be countered with just this card. The Goblin Hut is there so you can counter building-focused troops like the Hog and the Golem and reduce the inflicted damage on your towers. This card is very versatile as it can distract troops with high damage and low attack rate like the PEKKA and the Mini PEKKA. Of course, it is a great way to do consistent chip damage on your opponents’ towers. This deck revolves around PEKKA and supporting it. 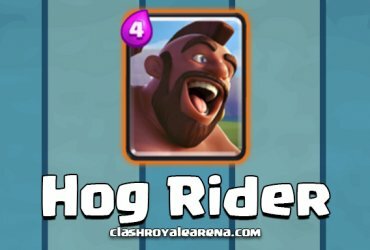 Every other card in this deck has a primary purpose on the field when the PEKKA is deployed with them – get PEKKA to the tower, safely. The PEKKA in my deck is used as a defense-counterpush card, meaning that if your opponent places Elite Barbarians and you can use her to counter these two vicious troops. She will have around 3/4 of her HP remaining after the push so you still have time to be able to do a good counterpush with the help of other cards. Ice Wizard used for slowing down heavy troops, taking down skeletons. CC used for taking out any light ground troop coming your way (Goblin Gang for example). Electro Wizard takes care of Inferno Tower and Dragon, as well as helping PEKKA deal more damage while receiving less damage from your opponent’s towers and troops. Lumberjack is usually placed in front of her in order to drop the rage spell and get her to the tower faster. Sometimes, this isn’t an option and the Lumberjack is used to take care of any ground troop like the Wizard which can deal significant damage to a PEKKA over time. 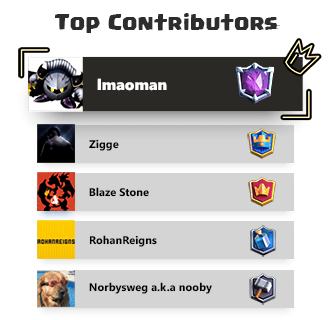 She can counter pretty much any card other than herself, unless your opponent’s PEKKA is of a lower level, or you have another troop supporting yours (Ice Wiz or Lumberjack that would take out the opponent’s support troops). The reason why I have Zap as well as Arrows is that in higher arenas I tend to see lots of Goblin Gangs, Barrels, Minions and Minion Hordes and of course, Skeleton Army. 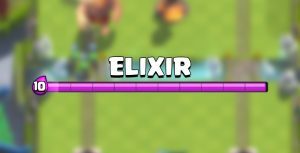 As you may not know, a level 12 Zap is capable of eliminating a level 10 Minion, it often surprises my opponents and they realized they have just wasted 5 (or 3) elixir for nothing. 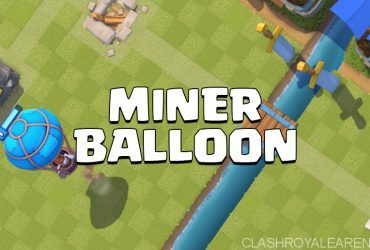 Arrows are there in case the swarm troops are overwhelming your troops and towers (and if Minions are Level 11 or higher). You would usually have one spell card that would take care of eliminating swarm troops. Hence using 2 cards, your opponents often believe they can now place their second swarm card, thinking that you have just used up your only Zap or Arrows. In similar situations after deploying one of your anti-swarm spells, they sometimes deploy the Goblin Barrel, thinking that you have nothing to counter it – yet again, Zap or Arrows, whichever is the backup card you have in your hand, can be used. Regular Goblins can be taken out with a Zap as long as your Zap level is one level higher than of your opponent’s Goblins or Gang. 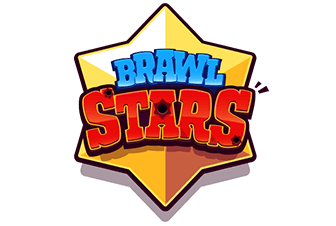 For example, your opponent has level 10 Goblins, you will need a Zap with the lowest level of 11 in order to eliminate the troops completely, otherwise you will just kill the spear goblins and stun the melee ones, leaving them at a one-shot-kill which in some cases is not convenient. For Minions, your Zap needs to be two levels higher than the Minions. Level 12 Zap beats level 10 Minions. Simple as that. Once you are certain that your opponent has no swarm cards remaining, you can place a Cart behind your PEKKA and watch it destroy the tower! 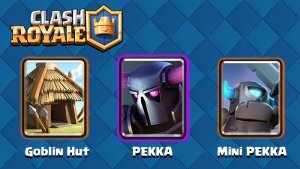 PEKKA is also used as the troop shield, the one who absorbs all of the damage to the medium troops could deal as much damage as possible without taking much damage themselves. This deck so far only suffers from other decks with Elixir Collectors and multiple high elixir troops as it can be quite overwhelming for only a single troop to be able to counter 2-3 tanks at once. The deck is a bit more expensive at an average elixir cost of 4.1 so it demands a bit more careful play, until the last minute which is where this deck shines and you can maximize the absolute effectiveness of it! Besides that one flaw, this deck can counter pretty much every deck out there. Thanks for reading and I hope you try the deck out and perhaps enjoy it!